Works by Albeniz, Rodrigo, Moreno-Torroba, Akiva, Dyens, and Erez. A passionate ambassador of the classical guitar, Liel Amdour is committed to sharing the music of the guitar with audiences everywhere. 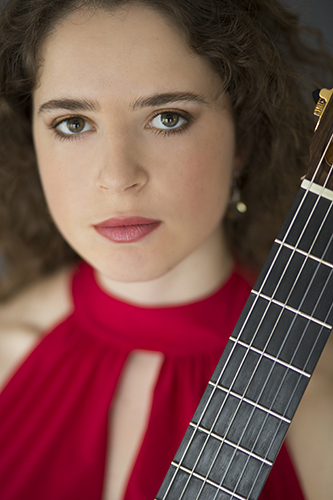 The 2018 recipient of the Ben Steinberg Musical Legacy Award, Liel regularly performs as a soloist in diverse settings and receives frequent praise for her expressive performances and charismatic presence. Liel’s repertoire includes Spanish classical music by Albeniz, Rodrigo and Torroba, Brazilian-inspired composer Dynes, and contemporary-classical Israeli composers Itamar Erez and Daniel Akiva.